HONOLULU (HawaiiNewsNow) - The federal public corruption investigation that already forced former Honolulu Police Chief Louis Kealoha to retire has widened even further. Hawaii News Now has learned that a fourth special prosecutor from California has been added to the team investigating alleged misconduct by people at Hawaii's highest levels of law enforcement. Katherine Kealoha, formerly a high-ranking deputy prosecutor and the former police chief's wife, is already a target of the FBI case. And now it appears her boss, city Prosecutor Keith Kaneshiro, has also joined the list of those under scrutiny. The new line of investigation centers around a speeding ticket that Kealoha got dismissed for her electrician — and what the prosecutor and his office did in the months after ticket fixing allegations surfaced to justify the citation being thrown out by the court. Kealoha's electrician got the ticket on Aug. 12, 2014. He told Hawaii News Now he was driving 78 mph in a 35 mph zone on the Likelike Highway. And he said Kealoha told him that she would take care of the citation for him. Weeks later, she did — by showing up at his traffic court hearing. "Good morning, your honor. Deputy prosecuting Attorney Katherine Kealoha for the state," Kealoha can be heard telling the judge, in audio recordings of the hearing obtained by Hawaii News Now. She subsequently asks that the court dismiss the ticket, saying, "I know this is a speeding offense, but the individual who is driving the car at the time is a career criminal who was not the individual that he gave the identification for." In other words, she claimed to the court that her electrician wasn't really driving; it was someone who stole his identity, she said. By early 2015, the FBI started investigating that apparent lie to a state judge by a sitting deputy prosecutor. Shortly afterward, Kaneshiro — her boss — started getting called in to testify before a federal grand jury in the case. He was being asked to provide evidence regarding that speeding ticket. But in an unusual move, Kaneshiro wasn't cooperative. Defense attorney Myles Breiner, who represents Kealoha, said Kaneshiro fought subpoenas to turn over files to the FBI. Those attempts were eventually overruled by a judge. And now, the FBI is looking into whether Kaneshiro used his office to cover up for Kealoha's behavior in court. Because after fighting the order to turn over files, Kaneshiro then suggested that the disputed speeding ticket was actually a "ghost ticket" — a ticket fraudulently written by Officer Ty Ah Nee to get overtime for court appearances. Kaneshiro prompted top Honolulu Police Department leaders to launch an inquiry into Ah Nee's citation practices because he is a veteran traffic enforcement officer. Defense attorneys who learned of the inquiry began questioning Ah Nee's credibility as part of their arguments for clients that he pulled over. One of those attorneys is Jon Burge. "It questions his truthfulness, is he a liar?" Burge said. "Because at least by implication, Kaneshiro says he is." In open court last month, Burge confronted Kaneshiro's office about it and Deputy Prosecutor Matt Holm read from what appeared to be a prepared statement: "Honolulu Police Officer Ty Ah Nee is not a suspect in a criminal investigation being conducted by the Department of the Prosecuting Attorney at this time, and I've been informed that there also is no past investigation into that officer either." 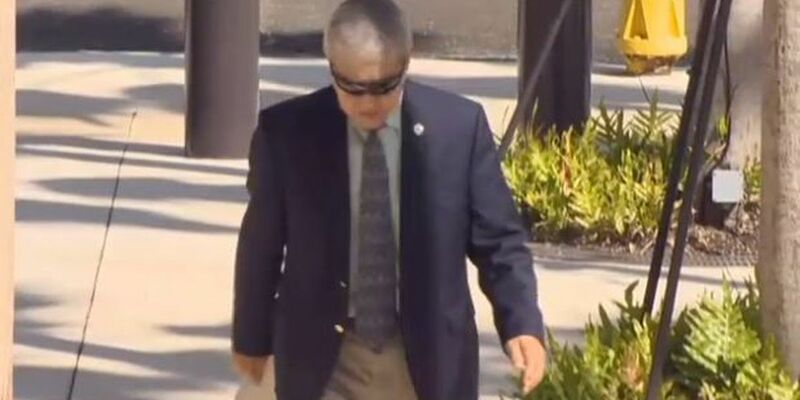 An FBI agent was in court that day and just four days later, HNN's cameras caught Deputy Prosecutor Holm heading into court to testify before the federal grand jury. Holm was just one of many witnesses subpoenaed by the FBI regarding the fixed speeding ticket. Also called to testify: Those high-ranking HPD officers who Kaneshiro asked to investigate Ah Nee — and Ah Nee himself. Defense attorney Victor Bakke, who is not involved in the case, said he's never seen a federal investigation with so many high-ranking law enforcement people involved. "It's huge, I mean its unprecedented actually," Bakke said. After Kaneshiro's ghost ticket claim proved baseless, he changed his explanation for why Kealoha got her electrician's ticket dismissed: "The tickets that were dismissed on that particular person was pursuant to a plea agreement with our office," He also told Hawaii News Now, "It was not Katherine Kealoha alone. It was a decision of this office. It was a plea agreement signed by me." A plea agreement, Kaneshiro is suggesting, that was part of a bigger case. But Hawaii News Now has learned the FBI is questioning whether that plea agreement was made up, created purely to cover-up for Kealoha. Also being investigated is whether the electrician was tricked into signing that plea agreement last year, long after the ticket was dismissed and could not be prosecuted anyway. Attorney Victor Bakke believes the fourth special prosecutor from California added to the case is being tasked with investigating the various, curious methods Kaneshiro and his office used to justify the ticket's dismissal. "To go to this extreme is just unheard of and so unnecessary," Bakke said. "And it brings discredit on the whole law enforcement community, which shakes the trust in the system and that's not good." Perhaps even more concerning, Kaneshiro convened his own state grand jury, apparently to further justify his actions around the alleged ticket fixing. Hawaii News Now cameras positioned outside state Circuit Court show Kaneshiro and several of his high level deputies go into the grand jury room with the only window covered up by paper. Witnesses who have been called to the state grand jury say they were asked about HPD traffic policies. They believe it was a way for Kaneshiro to justify his reported plea agreement. Kaneshiro, who has called the federal case a "fishing expedition" did not respond to any specific questions about the allegations in this report.